Are You Dealing with a Snake Oil Salesman? There are many ways and means for achieving top Google rankings; an entire industry is out there devoted to helping you with search engine optimization. However, not all SEO specialists are the same. If they use manipulative, so called black hat SEO methods, you will be paying a much higher price in the longer run, when your site is blocked by Google for bad business practices, though you might initially benefit. There are some consultants who will promise you first page ranking; do not fall for such empty promises. Even if the consultant is able to deliver on his or her promise, it will be a very short-lived one. The constantly changing aspects of search engine optimization tools are such that you have to consistently post new content, engage your audience in meaningful discussions through your blog, and stick to white hat SEO practices. 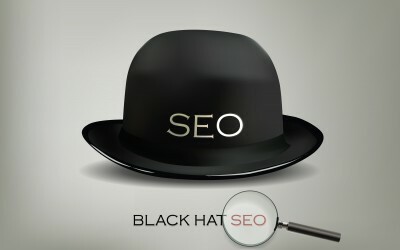 Black hat SEO practices will incur the wrath of the Google Webmaster in the long term and get you blocked. Even if you do the necessary steps to recover, it will cost you dearly. It is your responsibility to ensure that your consultant is one who uses only white hat techniques. What Promises Would a Snake Oil SEO Consultant Make? A snake oil SEO consultant promises that he or she can get you ‘first page’ ranking. It should be an automatic red flag as no one can promise that when using any legitimate methods. He or she will claim to be a partner of Google when, at best, they might have attended a Google Adwords course or something similar. Google does not partner with SEOs. If your SEO consultant guarantees you page rankings right away, look out; either he is blatantly lying or is doing something that may get you penalized. The only way to figure out the page ranking system is to have access to the Webmaster’s algorithm and that is one of the best-guarded secrets in the industry. No one can achieve instant page ranking success, so this claim should be an instant red flag. If your consultant is unable to provide proper testimonials from his or her former clients, be warned that there might something wrong. If you hear this, run. What all the above points mean is that there are no shortcuts to SEO and there is no guarantee. A good search engine optimization consultant can increase your visibility on the virtual space; you can devise promotional offers that entice clients to visit and try out your product or service. You can also get more visitors by legitimate web content posted on your blog and on other related forums. Be careful to not use indiscriminate keyword stuffed content; this will also get you blocked. Post only fresh, original and relevant content that adds value, and not empty rhetoric. Slowly but steadily, your reputation and your business will grow; the key factor here is that this growth will be a sustainable one and not a flash in the pan.